While we often associate fiber with supporting digestive function – and this is certainly very true – fiber provides significant benefits to the body overall. 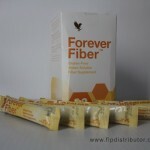 Forever Fiber™, taken between meals, can help to support feelings of fullness, thereby controlling appetite and cravings, and caloric intake. This is especially important for those on a weight management program, when used with a healthy diet and regular exercise. By also helping to support normal blood sugar levels already in the normal range, and slow the absorption of macronutrients from our foods, fiber can also help limit feelings of sluggishness or low energy after we eat. Probably one of the most neglected supplement, yet so important not only for weight loss but for overall health.